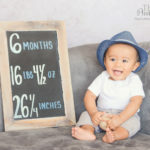 Tips & Tricks For Six Month Baby Portraits | Los Angeles Photography Studio - Los Angeles based photo studio, The Pod Photography, specializing in maternity, newborn, baby, first birthday cake smash and family pictures. 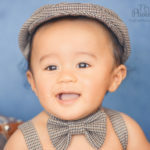 There is nothing sweeter than a six month old photo session! 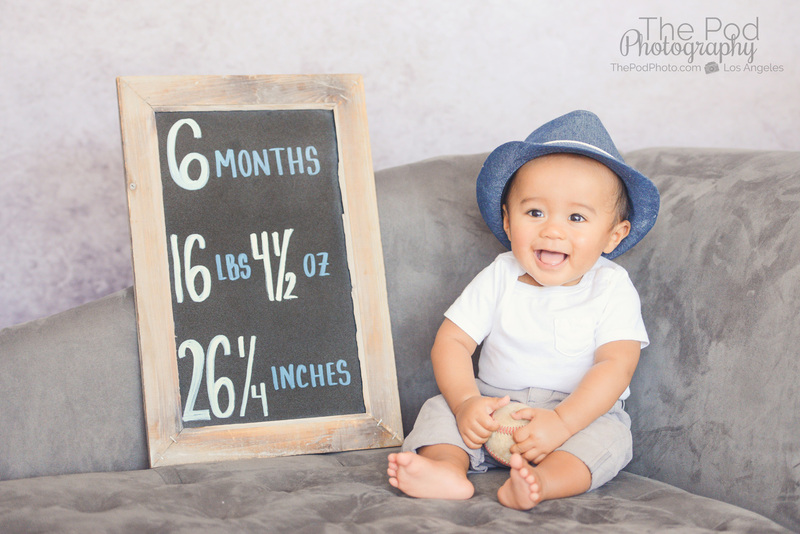 We love this age for a few reasons, and little Vince was so handsome during his shoot that we just fell in love with him! 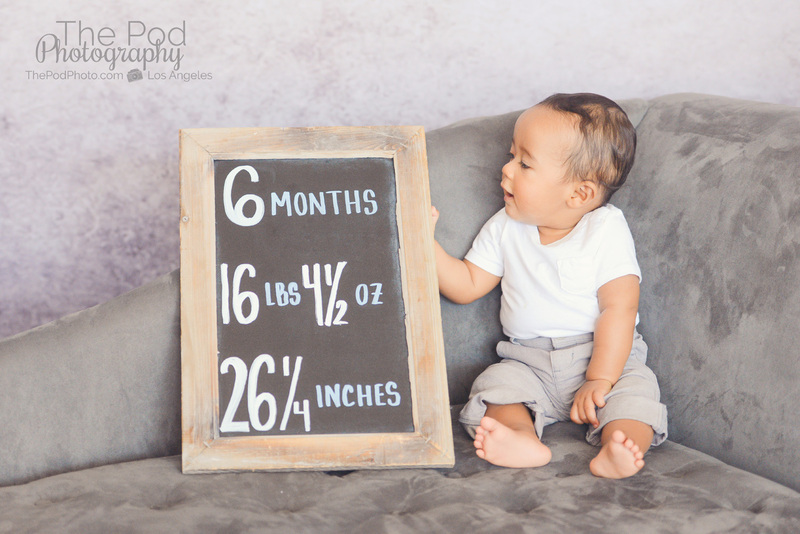 However, this age CAN be tricky with baby’s short attention span, so we’ve mastered shooting fast, moving from set to set, and using some of our Pod Mom favorites at every six month photo shoot! 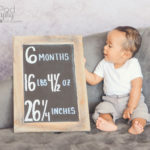 Custom name banner. 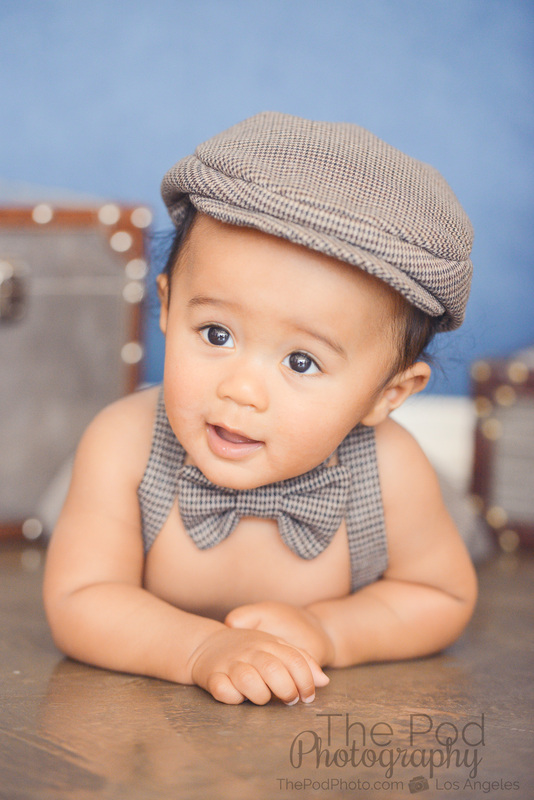 Babies are at the cutest age for this set! 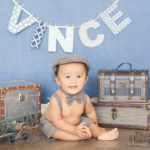 Because Vince was sitting up so well, he stays nice and centered right under his little name! 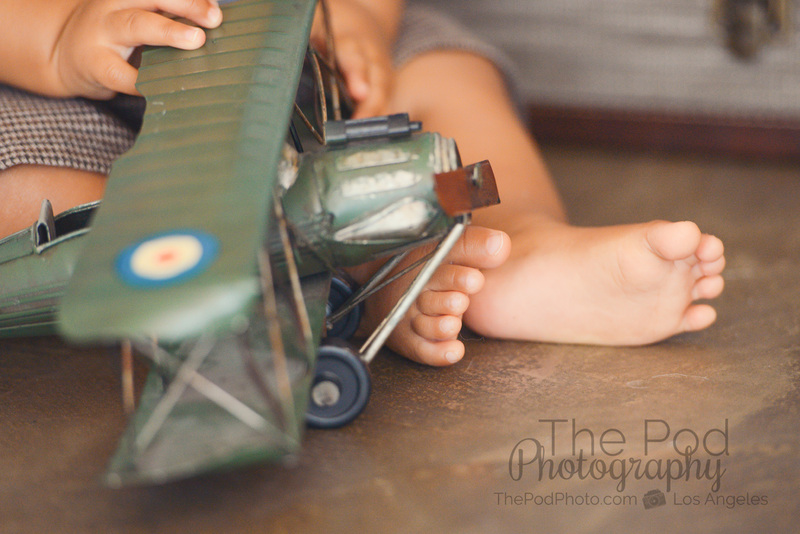 This makes for gorgeous artwork in his room! 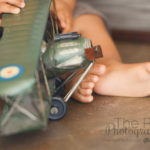 At newborn age, this works really well too, but at one year old, he’ll start walking and crawling off the set, so it can be much more of a challenge to keep a baby centered and still! 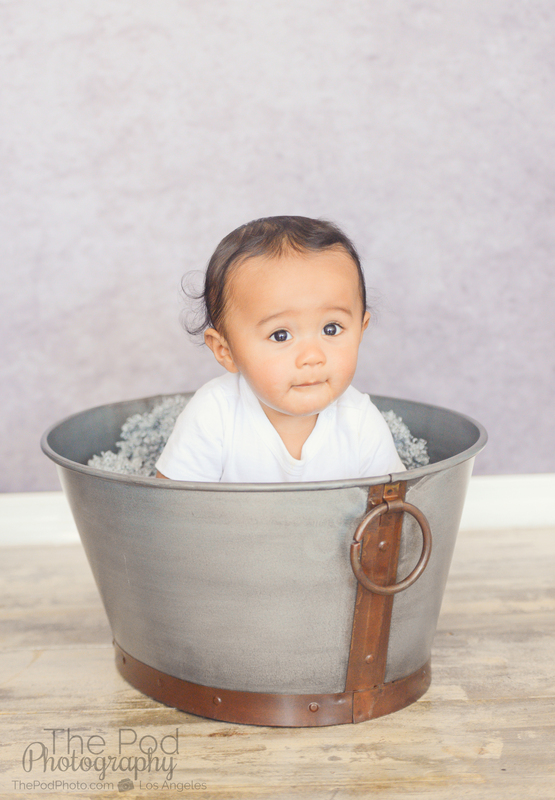 Baby in a bucket! 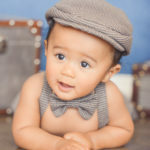 So classic, and we must thank Anne Geddes for beginning this adorable trend! 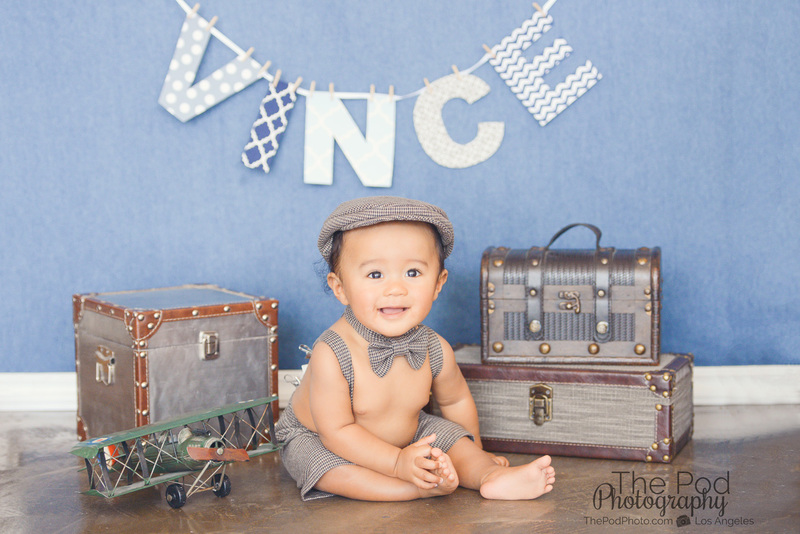 Vince was almost done with his shoot and starting to tell us with a little fussing. 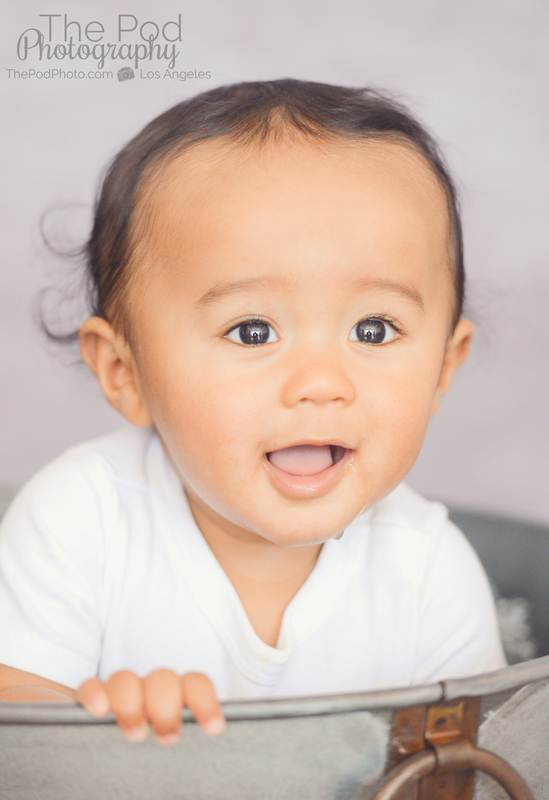 But buckets are my go-to move when a baby is starting to get bored with us and trying to crawl off the set! 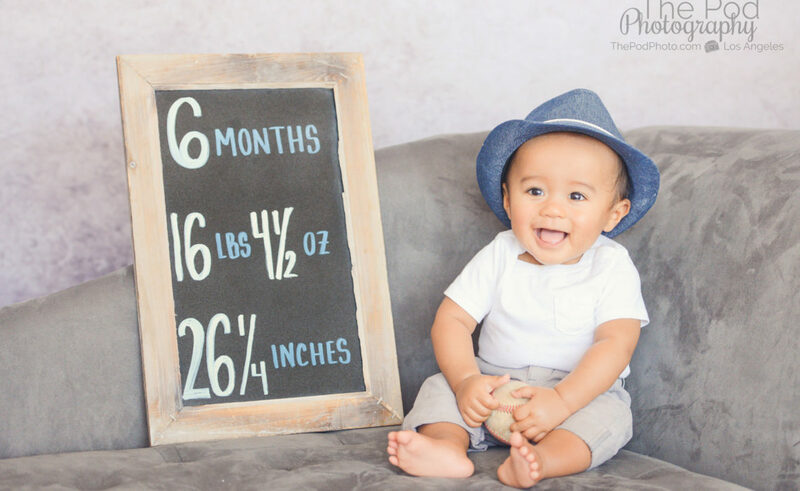 Not only will it keep them still for a few seconds, but a lot of times, babies get excited about holding the edges of the bucket and banging on it to make loud, exciting sounds! 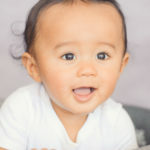 Our Los Angeles studio has years of experience documenting babies at this age, as well well as other big milestones! 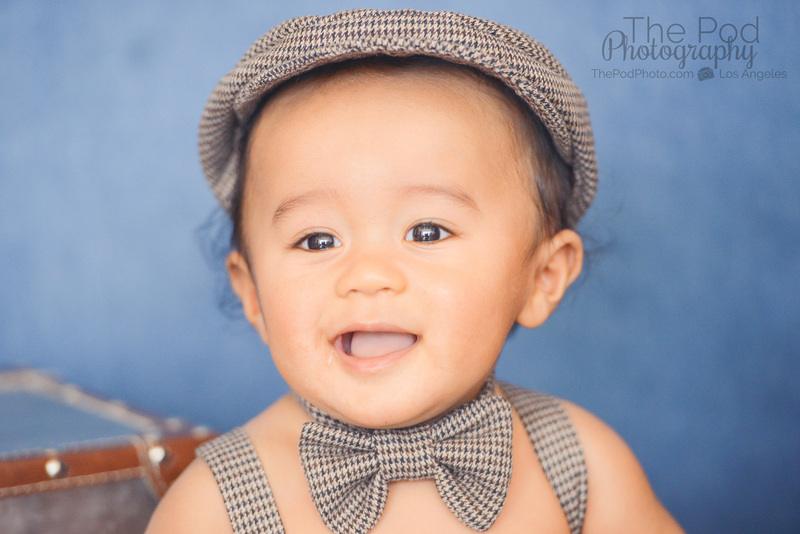 Give us a call at 310-391-4500 to set up a consultation with your photographer and be sure to follow us on our Blog, Facebook, Instagram and Google+ to see what we’ve been up to, or explore out YouTube page and Pinterest Boards for more!